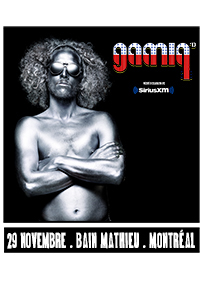 10th edition of the awards show dedicated to the Quebec indie music. Hosted by Robert Nelson, with Le Mai Tai Orchestra sous la direction de Christophe McLaren as the house-band. AvecWith Beat Market, Sandveiss, Toast Dawg feat.Kenlo Craquenuques & Yes Mccan, Lubik, Benoit Paradis Trio, Oromocto Diamond, Debbie Tebbs, Hashed Out, Millimetrik, Deux Pouilles en Cavale, Eman X Vlooper, Les Conards à l'orange, Corridor and more.